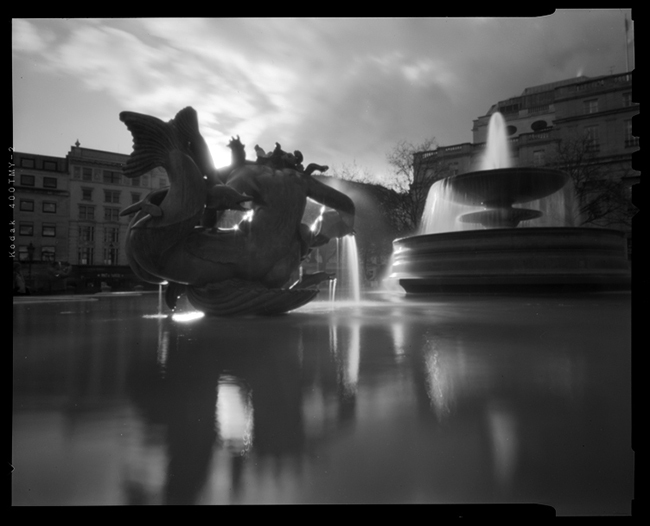 Ilford's Direct Positive Paper adds a whole new dimension to pinhole photography. Expose this magic paper in any camera-ish box and out will come a complete positive photograph! No negative involved, no printing required. In this workshop we'll build pinhole cameras and learn how simple techniques to handle and process Ilford Direct Positive paper and deal with its quirks. This workshop is suitable for ages 12 and up. Workshop fee includes 4 4x5 sheets of Ilford Direct Positive Paper. Additional sheets will be available for $1 each. We’ll be constructing pinhole cameras in this workshop. If you have your own 4x5 pinhole or large format camera that you prefer to work with, select the “I have my own camera” option below.